After previewing Parx's first handicapping contest since 2008 last week, I drove the Jersey and Pennsylvania turnpikes 55 minutes to Philadelphia to compete in Saturday's live-money tournament and am impressed by track management's organization and hospitality, and the venue itself as well. The positives far outweighed my miserable contest picks on a day where the races appeared wide open and just 2 of 9 post-time favorites won, but the handicapping contest winner built a $60 starting bankroll into $1,030.50 (impressive, on a day where the highest win mutuel was $13) to take down the zero-takeout $1,880 first prize. Saturday was my first visit to Parx. I was unsure what to expect, but found promise as a comfortable, player-friendly venue that should consider expanding into contests tied to the National Handicapping Championship (NHC) or Breeders Cup Betting Challenge (BCBC). More than 90 players turned out with scant publicity, so with concerted marketing and lessons gleaned from Saturday, Parx likely could draw a much bigger audience, considering its close proximity to major mid-Atlantic markets (NYC, Philadelphia and Baltimore). Parx is an easy ride and right off major highways. The expense for NHC or BCBC "seats" would presumably be more prohibitive to Parx as a non-NTRA track (non-members pay double the fee to buy "seats" to the NHC, as I understand it), but my views are outside the realm of any track management's financial and operational planning and merely from a weekend player and NHC Tour member perspective. Phonebet manager Beth Coale and her team did a wonderful job with the logistics, in my view, citing the seamless sign-up, clear instructions on the use of contest wagering cards and articulation of contest rules, plus quick scoreboard updates. Parx's race facility itself has a fresher vibe than my local track, Monmouth Park, though I would not necessarily attribute that to the live racing element. The track sits separate from the much larger casino venue but features a really nice poker room and dining as well, is far smaller and clean on the inside, and gives the handicapper plenty of options with two levels of dining service plus a cafeteria-style venue where service is quick and food and drinks are fairly priced and quite good. No, "sorry we're out of that" or "that'll be ready in about 10 minutes" at the dining venue as sometimes found at my home track. A nice bar at the center of the ground-level area, flanked by cocktail tables with ample seating and lots of simulcast TVs, enriches the building's energy. This is certainly not to pan Monmouth, which is far more scenic and historical but has several nooks and crannies and is simply more cavernous and, therefore, finds customers spread out across a wider plain. At Parx, you're more among your horseplayer peers by force, and for this reason (and with a casino mindset at play) could serve as a great venue for more handicapping contests. I could envision a section (similar to the poker room) set aside for tournaments, where much like at the NHC in Vegas two rooms are dedicated to the contest customer, creating a player-friendly and social atmosphere (rather than contest players sprinkled here and there with the ordinary track visitor). The track and racing product itself is merely functional, in my view. There are not many great places to watch the races and sight lines are modest at best. The paddock is spartan, but I was not there to hang outside anyway on a windy and cold winter afternoon. Saturday's card was OK but not top-flight weekend racing by any stretch, and I found myself generally taking educated guesses in races mostly filled with claimers, akin to other casino-funded racing venues where the on-track product appears secondary to the core casino product. 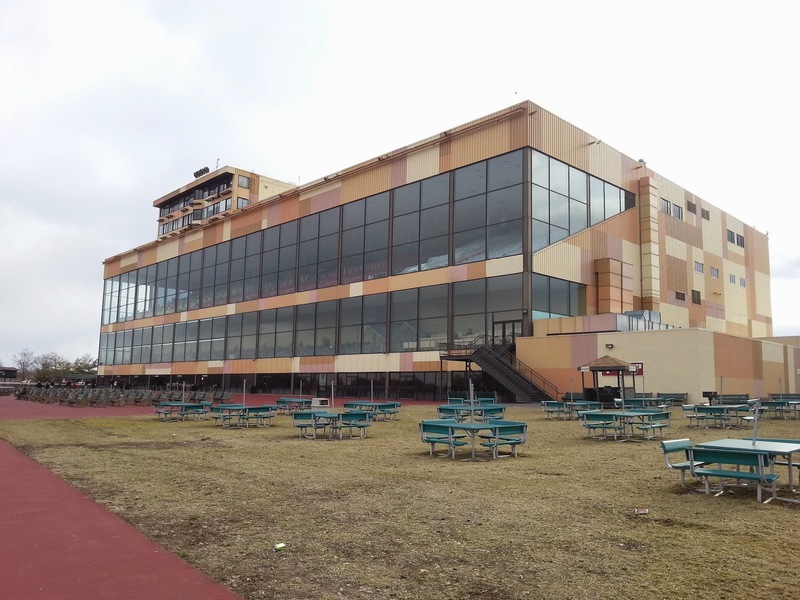 For this reason, I would encourage Parx to incorporate other racetracks into its contest mix to attract players, similar to when Monmouth cards live racing but co-mingles, say, a Woodbine or Saratoga, which offer often tougher races and deeper fields. Saturday offered key Derby preps elsewhere, but I get Parx's intent to try and showcase its own racing product. 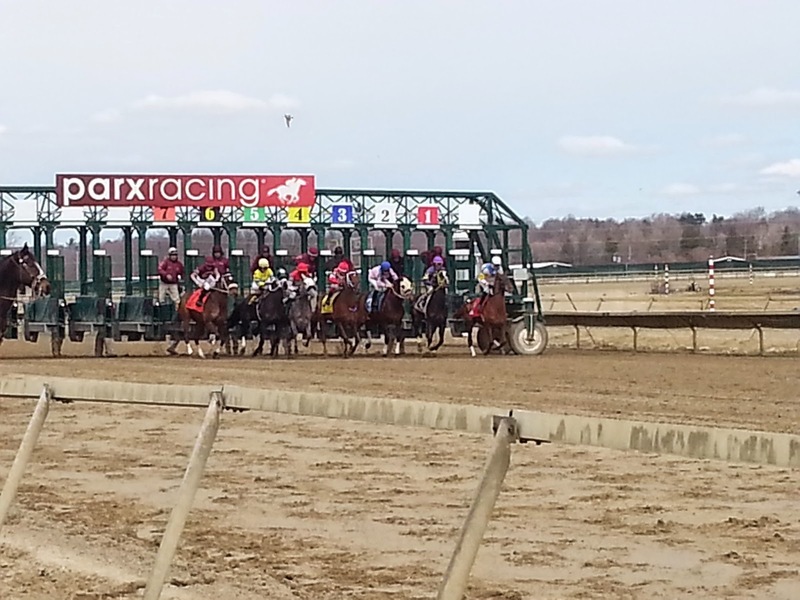 Whichever direction Parx management goes with the handicapping contest theme, Saturday's effort gets thumbs up and proved enough of a success to consider expanding the initiative, in my opinion. Nice write up, Thanks. I plan on going to the June 27th one. Glad you enjoyed, Anonymous, and thanks for the heads up on June 27, although I'm unavailable to play that day. Do you know the details of the upcoming event? I couldn't find anything about it.